NDP senior JJ Kraft posted her second hat-trick of the week as the top-ranked Blazers edged No. 2 Garrison Forest in the IAAM A opener for both squads. 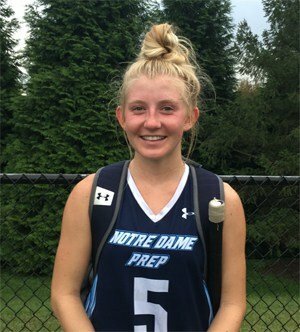 Apparently, scoring three goals in an 8-0 rout of Good Counsel on Monday was a mere prelude to Notre Dame Prep senior forward JJ Kraft posting yet another hat trick on Thursday afternoon in a No.1-vs.-No. 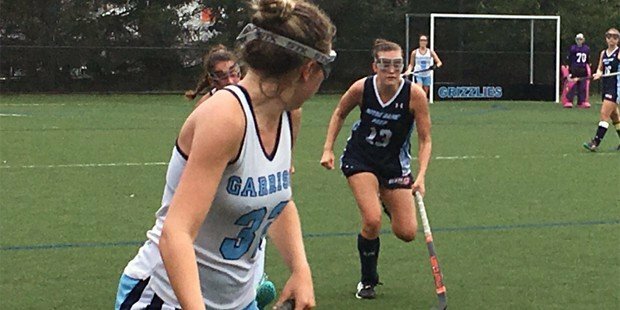 2 field hockey showdown at Garrison Forest School, won by the visiting and top-ranked Blazers, 3-2. And while the defending Interscholastic Athletic Association of Maryland A Conference champs extended their winning streak to 22 games against the team they defeated in last fall’s title match, it took Kraft’s signature performance — so far — of her career to ensure that they prevailed in the league opener for both schools. The Blazers (4-0, 1-0 IAAM A), who won their first three non-league games by a combined 24-0 over Fallston, Paint Branch and Good Counsel, gave up their first goal of the season when senior center midfielder Leigh James knotted the score for the Grizzlies (5-1, 0-1 IAAM A) on a wicked shot in the 23rd minute. James had unleashed two rocket shots prior to deadlocking the score, barely missing wide on both offerings. The score stayed the same until Kraft struck again, on an assist by junior attacker/midfielder Liza Regan, with just over 14 minutes remaining in regulation. The same duo produced the Blazers’ third goal less than three minutes later to give NDP a 3-1 edge. The Grizzlies rallied to pull within a goal on a tally by Annie Fenwick after an assist from Ryleigh McComas and then pressed forward for the equalizer when Riley Patro’s sizzler was alertly kick-saved by the Blazers’ sophomore goalie Brooke Borzymowski with less than two minutes to go. 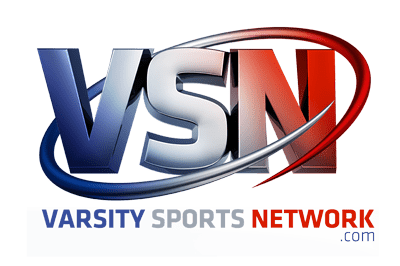 The hero of the day, Kraft, said that she has been encouraged by NDP coach Katrina Ross and star midfielder Nathalie Friedman — VSN’s 2017 Coach and Player of the Year — to be more aggressive on the field. For NDP, it’s well worth the wait. Garrison Forest coach Traci Davis said that opening league play with a game of that magnitude was not easy. The A Conference battles continue for both squads next week when NDP will host No. 4 Archbishop Spalding on Tuesday while the Grizzlies travel to meet No. 11 McDonogh on Monday. Pictured above: Garrison Forest’s Elizabeth McGee, foreground, watches NDP junior forward/midfielder Liza Regan head down the field. Goals: NDP-JJ Kraft 3; GFS-Leigh James, Annie Fenwick. Assists: NDP-Rachel Borzymowski, Liza Regan 2; GFS-Ryleigh McComas. Saves: NDP-Brooke Borzymowski 9; Savannah Rumsey 5.